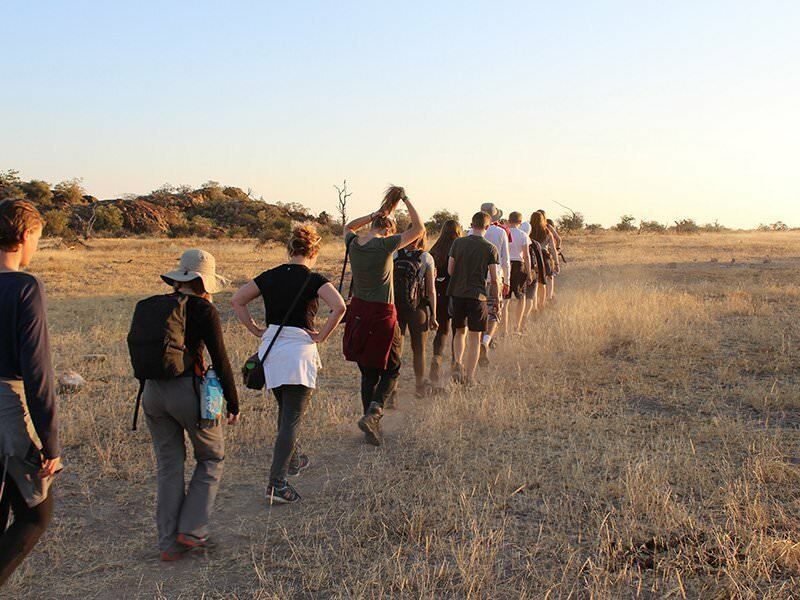 From working on a wildlife conservation project to engaging with local communities, this Service Learning Trip gives your students the opportunity to learn through genuine service experiences while exploring the unique wildlife, culture and ecosystems of southern Africa. Guided by wildlife and community professionals, your students will get hands-on with practical environmental work, developing their teamworking and leadership skills. Working alongside expert guides, they will also have the chance to debate big issues facing wildlife conservation and African communities. 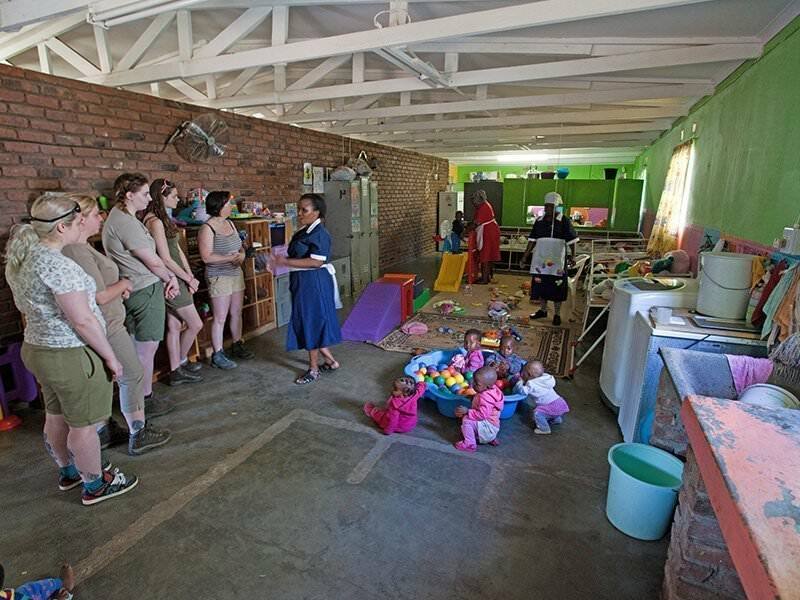 By actively supporting wildlife conservation and community outreach, this Service Learning Trip empowers your students to make a real difference not just in their own lives – but also in the lives of others. All while being immersed in the unique culture of Southern Africa. 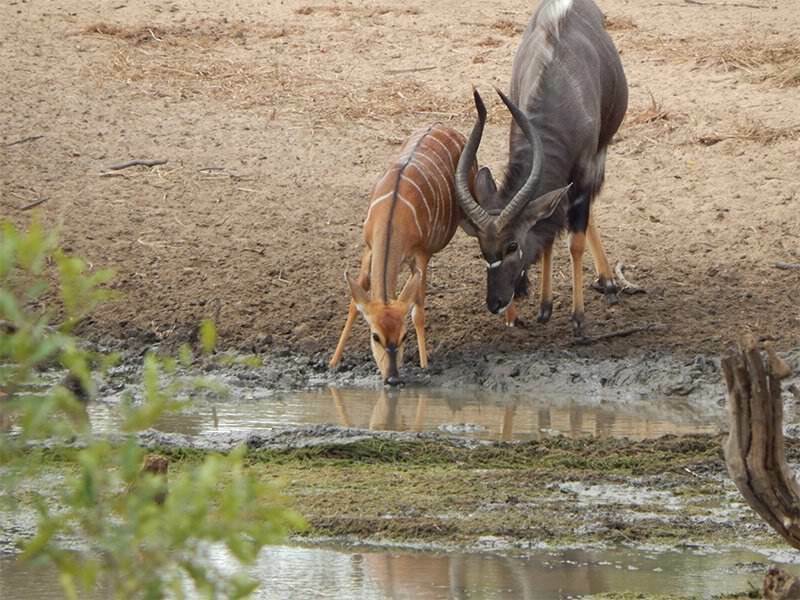 Your students will get to lend a hand on genuine wildlife conservation projects by monitoring animal populations, improving degraded habitat and preventing poaching. 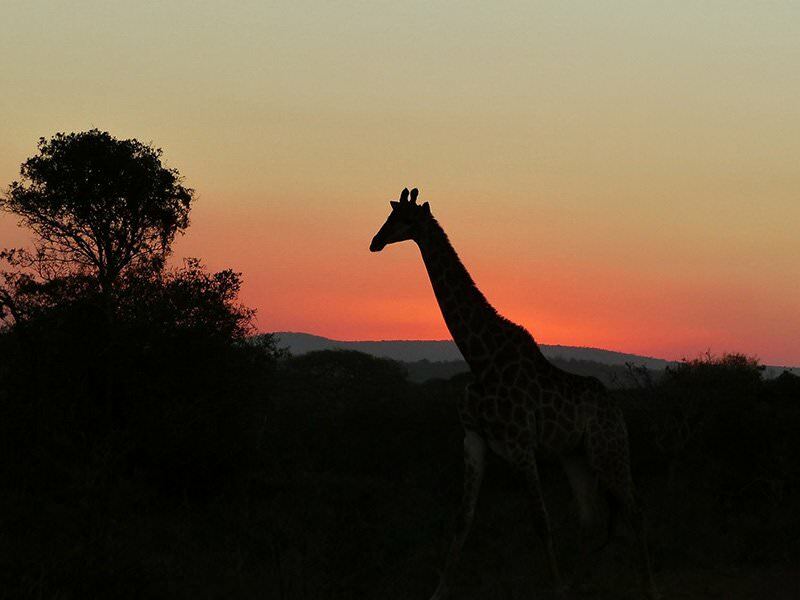 With the African wilderness as your classroom, this Service Learning Trip will challenge preconceived ideas about how wildlife conservation works in a practical environment. 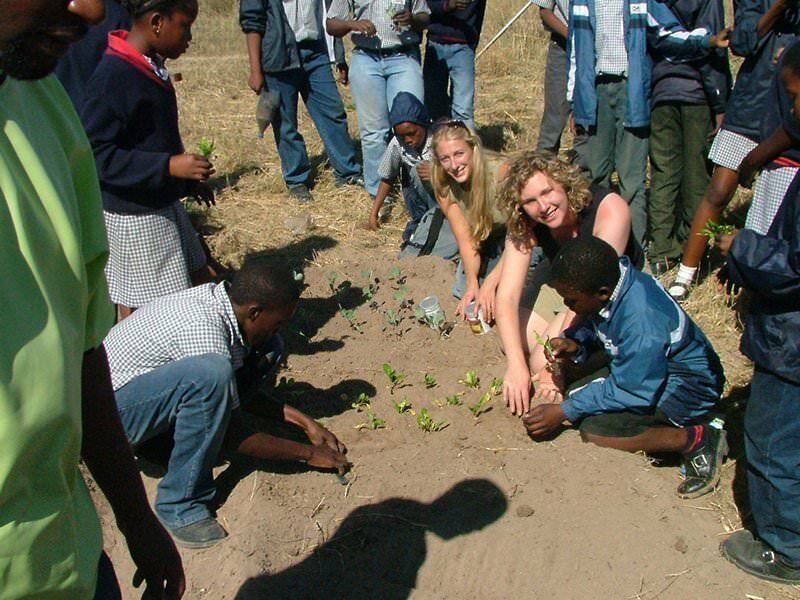 From practical work such as painting and gardening to participating in school lessons on conservation topics, your students will be helping others whilst gaining an invaluable cultural experience. Our Service Learning Trip caters for a wide variety of learning outcomes. 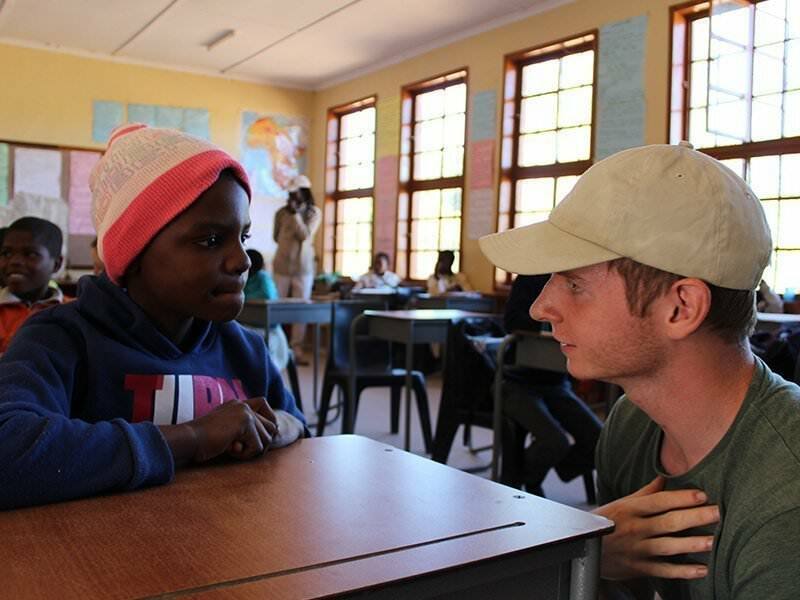 We can even help you plan your classroom lessons around your African Service Learning Trip. Participate in wildlife monitoring, using research methods to record the seasonal movement, habitat preferences and territories of various species. 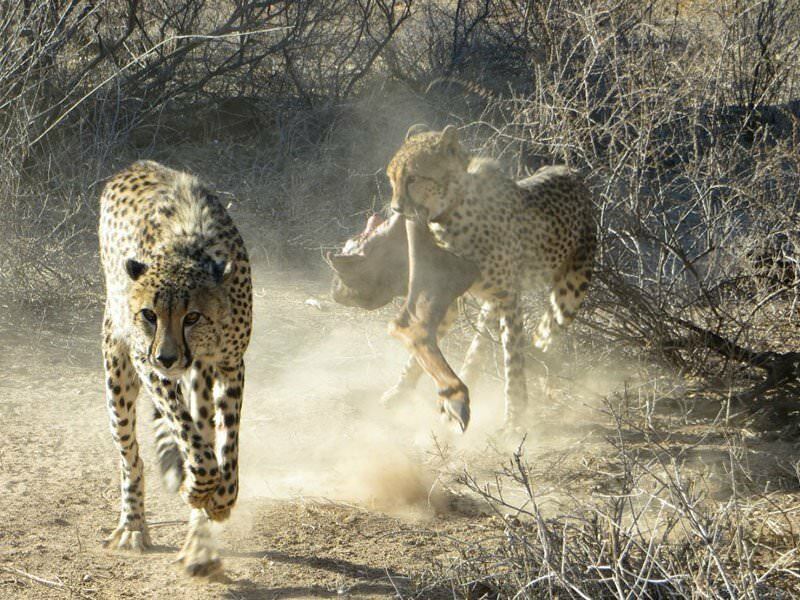 Participate in practical conservation work in the field. Depending on the needs of the reserve at the time, this can include removing wire snares used in poaching, removing invasive plants and building erosion control structures. Walks in the bush where your students will learn to identify animal tracks and other signs of animal presence. They’ll also rig up camera traps to monitor elusive wildlife remotely. After the walk, they’ll analyse the camera trap footage. 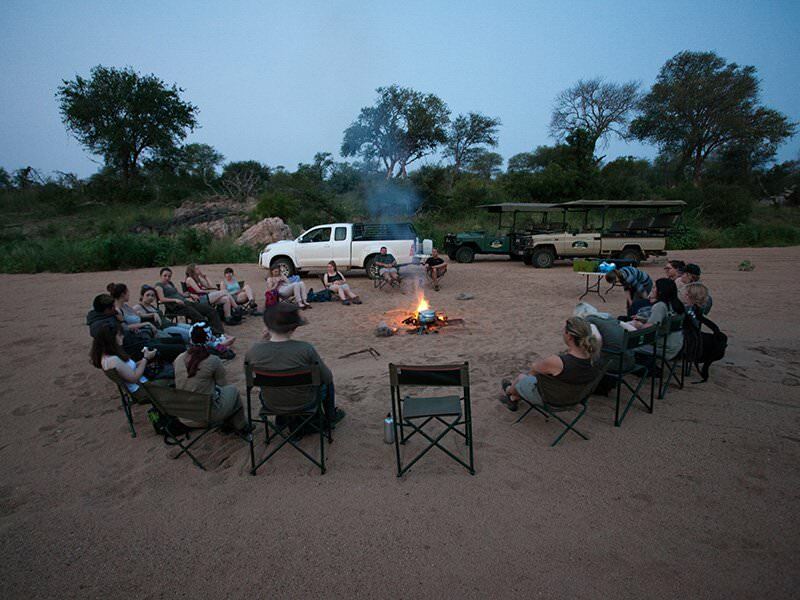 A night time drive to spot nocturnal wildlife in their natural habitats, observe the African skies, cook on a campfire and discover the art of bushcraft. 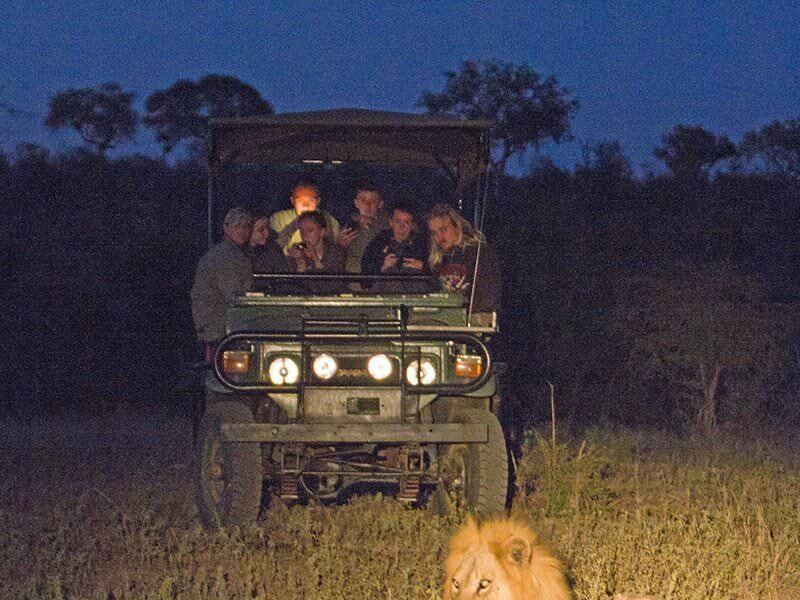 Game drives and bush walks and a sleep-out in a private area of the Kruger National Park, home to elephants, lion, black and white rhino, cheetah, African wild dog, and many other species. A guided tour of an endangered species centre or a behind-the-scenes experience at an animal rehabilitation centre. During these visits your students will learn about the handling and care of a variety of different animals. A tour of Johannesburg with a route that allows students to experience the cultural and economic contrasts that divide modern-day South Africa. A trip to Soweto, the township in Johannesburg pivotal in the anti-apartheid struggle, including a visit to the Apartheid Museum and Nelson Mandela’s house, which is now a museum. Implementing observation and recording techniques used in the monitoring of wildlife. 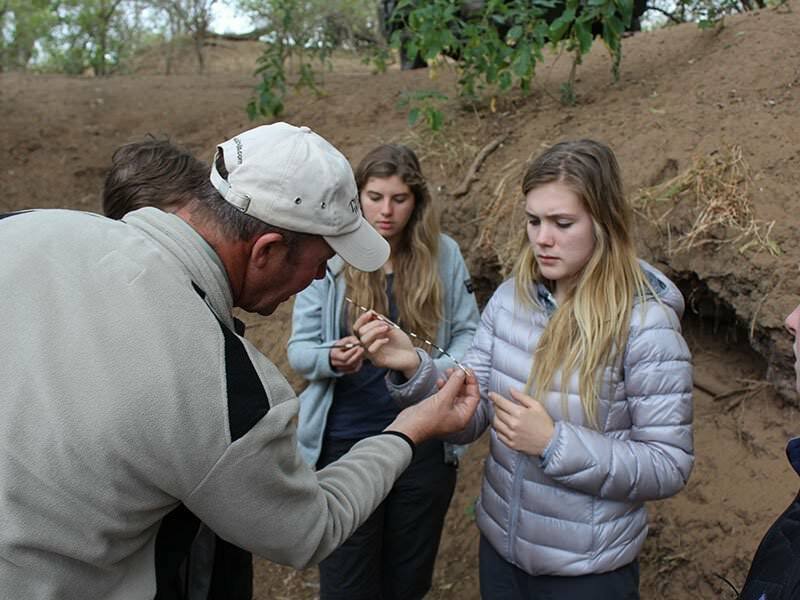 Through this students will learn how to identify animals, plants and habitats and how to use camera traps. Learn how past unsound ecosystem management has negatively impacted diversity and how this can be rectified through removal of invasive plant species and erosion control. 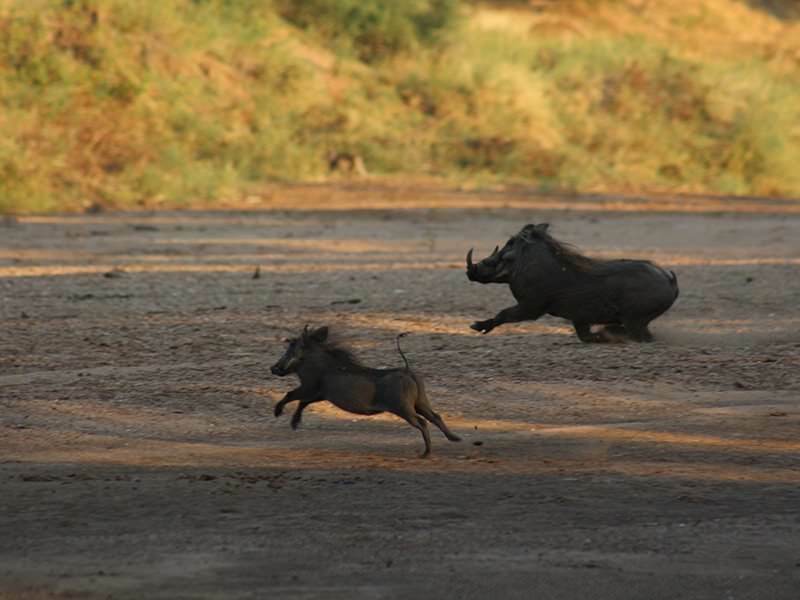 Understand the effects of poaching and how this can be prevented by tracking the presence of people in the area. Through exploring the bush through walks and sleeping, students will learn bushcraft, such as how to reduce their impact on the environment. 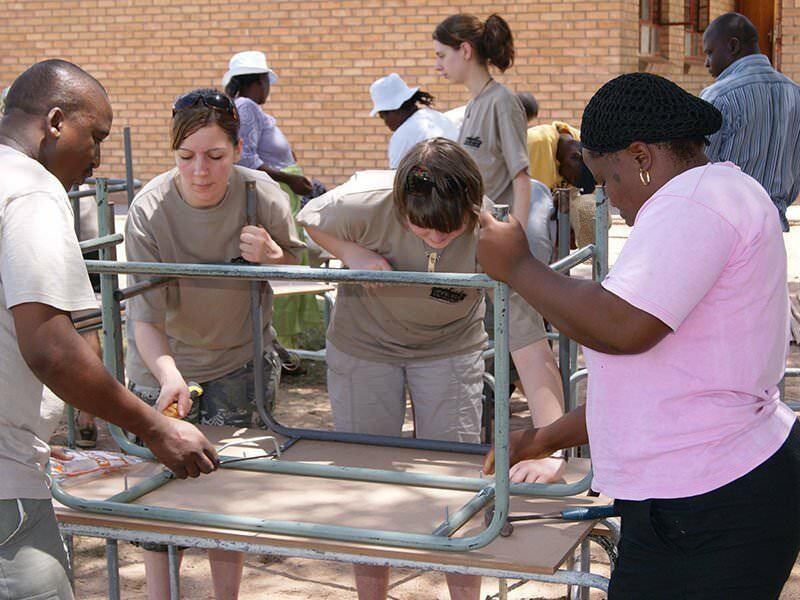 Develop intercultural understanding through service work in a local community and touring the township of Soweto. Understand how animal sanctuaries and rehabilitation centres play a role in the conservation of endangered species.